What would happen if horse trails ceased to exist, facilities to board your horse disappeared, and hayfields were replaced with shopping malls? Learn about Equine Land Conservation Resource, an organization working to ensure that land for equine use remains part of our communities. The United Statesis steeped in equestrian heritage and tradition. Horses have been partners in work, warfare and sport, playing an integral part in American culture. 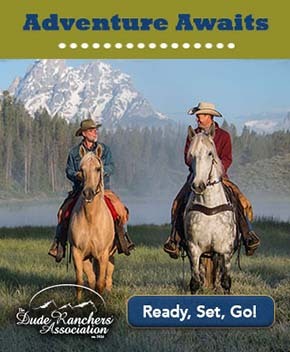 From the working ranch cowboy to the American foxhunter; from rural bush racetracks to Belmont Park; from pulling war wagons to reaching for Olympic gold, from the carriage horse to the trail companion, the horse and human interaction has been widespread throughout our history. As ourpopulation grows, cities and towns expand. In areas where growth is haphazard, it infringes heavily on rural farmland areas.Land previously available for horse facilities and farms moves further from population centers, making access for equine activities more difficult to get to. The US population, currently at approximately 328 billion (US Census) is expected to increase to well over 435 million by 2050 (Pew Research). Well-planned growth can forestall or alleviate sprawling development. With growing population, there is greater competition for land to provide housing, recreation and agricultural activities. Equine communities need to get ahead of these issues at the local level to protect their access. Competition over the use of public land between burgeoning user groupsincreases and directly threatens equine access to land used for recreation. Equine Land Conservation Resource(ELCR) champions land preservation for equine use and works to educate equestrians on the issues that threaten equine activities. 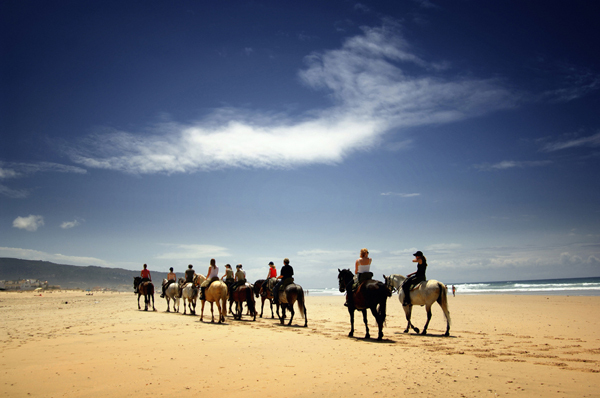 Continuing on with this heritage, we still use horses for sport, fun, and companionship. According to the 2017 National Economic Impact Study by theAmerican Horse Council, the equine industry has a $122 billion impact on the United States economy, employing nearly 1.75 million people. 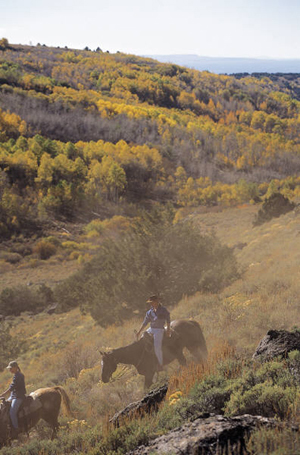 Horses remain an important part of our landscape. 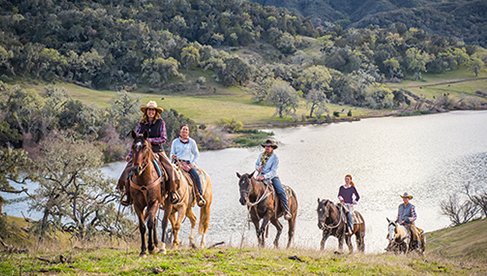 As horse enthusiasts, owners, and riders we have a responsibility to ensure there will be lands for our horses and activities, and for future generations. Equine Land Conservation Resource (ELCR) is a 501c3 nonprofit organization that was created out of The United States Pony Club Task Force for the 21st Century in 1996. ELCR builds awareness on the importance of land preservation for equine activity and use and actively works to preserve those lands and promote access. When first established, ELCR worked through The Conservation Fund, but became an independent organization in 1999. The ELCR has helped protect more than 230,000 acres of land and more than 3,100 miles of trails since 2007. ELCR sees the dangers of poorly planned land development and the daily loss of open land as a direct threat to the equestrian community and industry. Equestrian lands don’t just refer to riding trails, but also includes farms and ranches, pastures, competition venues, hayfields, and more. We need at least 36 million acres to feed and support the current equine population, estimated to be about 7.2 million horses by the AHC.According to the American Farmland Trust’s 2018 release Farmland Under threat, the US loses 4,200 acres of farmland a day – that’s 175 acres every minute! This is an alarming statistic, but even more disconcerting is the fact that time grows short. There may not be enough land to support our horses and related activities in as little as 15 years. In 2015, The New Hampshire Department of Resources and Economic Development (DRED) proposed changes to trail policies in New Hampshire parks, state forests, rail trails and other recreational areas, limiting or eliminating equestrian use altogether. ELCR worked with the New Hampshire Horse & Trail Association(NHHTA) to ensure they approached these rule changes in the best way possible, resulting in a revised legislation that allowed horses on all trails. ELCR helps horse people and organizations like NHHTA take action in their communities. They offer letters of support, outreach materials, educational guides, articles,webinars and other resources that help with the land loss issues horsemen and women face. But ELCR goes one step further than simply providing information and documents. They also offer technical assistance and counseling to individuals or groups on specific issues, often linking them with others that have faced similar problems. ELCR stresses that horse and equine land owners need to be awareof and understand how human population growth impacts land use. Land use planning, when done well, is essential for communities to assess what is important to residents and what is best for the community as a whole. Equestrians need to be involved in both the community planning and decision-making processes to ensure that their needs are met over time. ELCR recommendsstarting a club or organization or joining an existing organization that keeps track of issues in the community that could negatively impact the horse community. It’s important to educate yourself about the benefits of horses to the community, as these will be primary talking points. 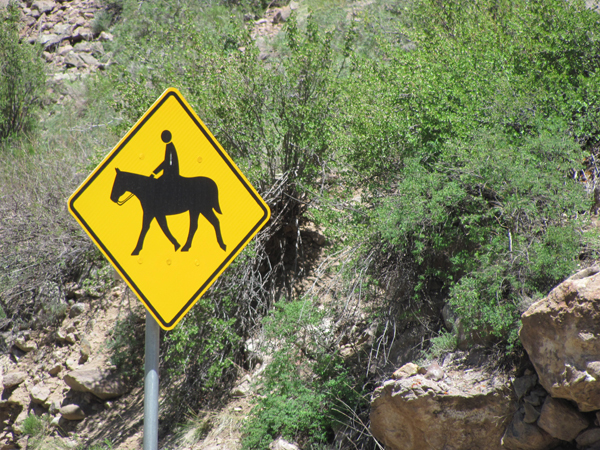 Know if the language in your community’s land use plan and zoning ordinances is horse-friendly or not. Continue to develop positive relationships with decision makers and other community members. It is up to the equestrian community to stand up for the importance of equine land, offering solutions to keep horses a part of our lifestyle and tradition. Helpful resources can be found on ELCR’s website, or contact ELCR for more information.